IQ Learning Systems, Inc. sells both new and used books, tools, & equipment from our programs. Many of these are brand new and in the box. Other items are used, but still in excellent condition. Note: All purchases are final, no refunds. This NEW 224 page full-color book from MBI Publishing, ISBN 0-7603-1056-4 is left over from our 4x4 Technology Program. Published in 2002, it has a suggested retail price of $29.95. 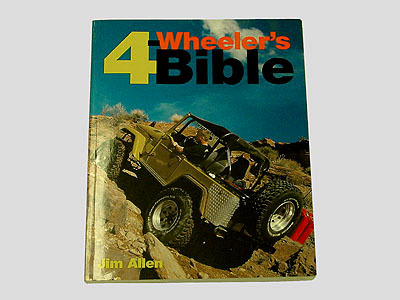 The 4-Wheeler's Bible contains a wealth of information about setting up 4WD vehicles for all kinds of offroad applications including rock climbing. It is a "must-have" publication for any serious offroad enthusiast. 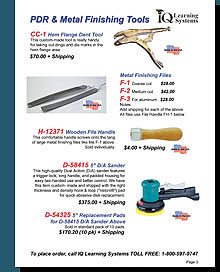 We also sell a wide variety of Paintless Dent Repair and Metal Finishing tools.